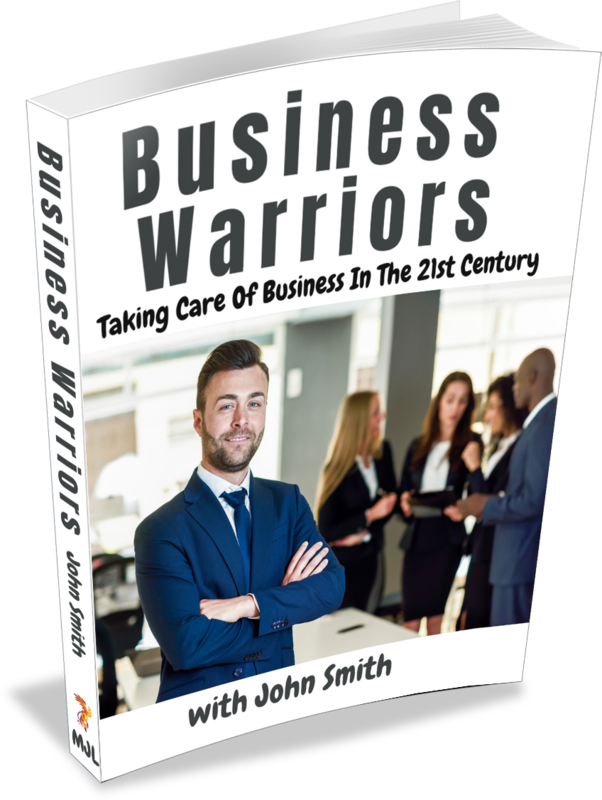 The Business Warrior project is a collaborative project created especially for small business people who know that publishing a book would make a difference to them in their business but they don’t have the time, the energy or the funds to write and publish a book of their own. 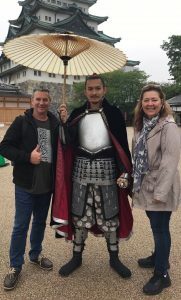 Standing with the last Samurai outside of Nagoya Castle. The Samurai took pride in being disciplined and in consistently working to master themselves and hone their skills. It is the characteristics of the Samurai that I attribute to the modern day Business Warrior. 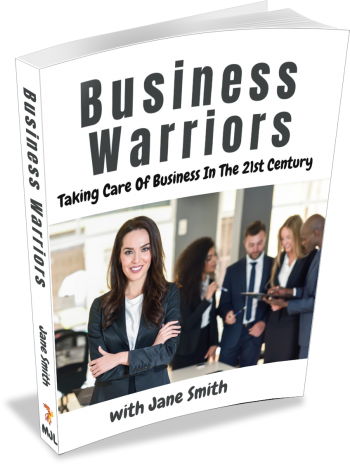 Small business people know that in order to grow their business they need to set themselves apart from their competition and they need to stand out from the crowd so that their target market can find them. They know that they need to find a way to build more meaningful connections with their target market so that their market can get to know them, like them and trust them enough to buy from them. And they know that they will never exceed certain income levels while they are trading time for money and working on a one-to-one basis. A book is a wonderful opportunity for a small business person to build a relationship with their target market by talking about the person or the people behind their business, sharing what drives them to do what they do and letting their target audience know who they will be doing business with when they buy from you. And a compilation book is the ideal way to achieve all the results you want without the time, the emotional stress and the cost involved in writing and publishing a book of your own. All the publishing is taken care of for you and you are fully supported with weekly coaching through the writing process so that you can get your chapter done and be proud of it. Your chapter will be professionally edited and placed at the front of your personalised version of the book. Your personalised book cover will be designed for you with your photo (provided by you) front and centre. Your personalised version of the book will be given its very own ISBN and will be registered with the national body for Identifier Services. You will be given a profile page on the MJL Publications website with links back to your business. 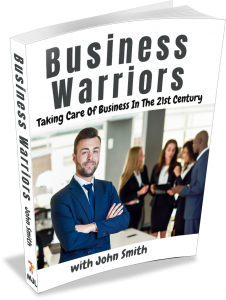 You will have access to marketing materials which you can use if you want to market and sell your book from your website or on your promotional materials. Your book will be available in print and ebook formats. You will be able to buy copies of your book at a wholesale rate and you will also be able to set up an affiliate account where you will receive a generous commission from any and all sales generated by you. Do you really want to stand out from the crowd? Do you really want to give your ideal customer the opportunity to know, like and trust you enough to buy from you? How proud are you going to feel when you share your book with your family, your friends and your prospective customers? All you need to do today to secure your place in the next edition of Business Warriors is make a deposit of $100 (+GST). As soon as we have our 10 contributors you will be invoiced for the balance. If you know this is going to be a great investment for you, and one you can feel really good about, click the payment button below, pay your deposit and let’s get started. If you still have questions about contributing however, I would be happy to chat with you some more. 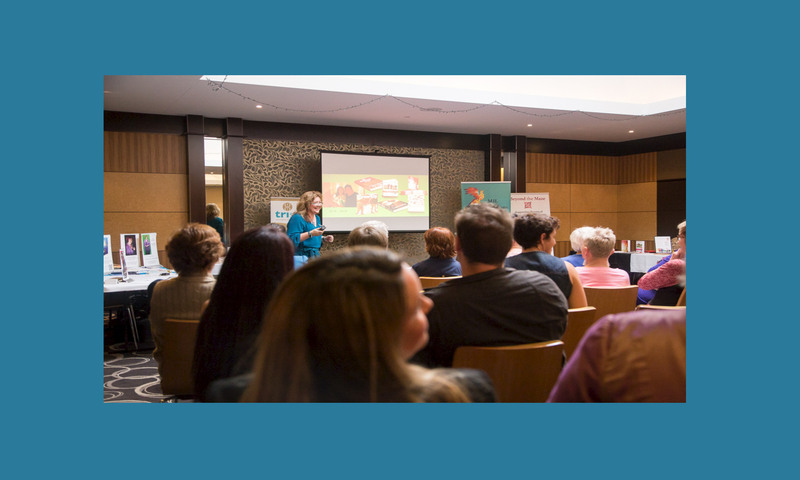 Simply click on the BOOK NOW button below and book yourself in for a free information session.